Lovelies, Its has been brownies weeks in our house lately! 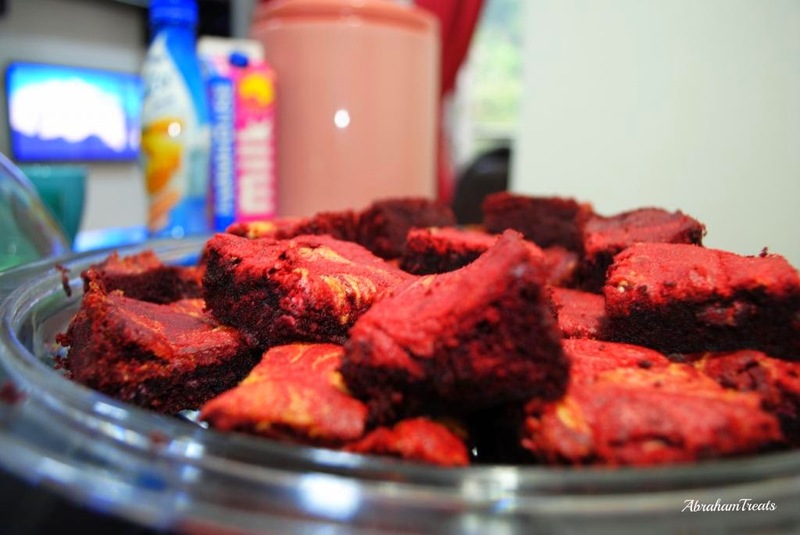 The other day we baked Nutella Brownies followed by Cream-Cheese Brownies and now we baked these Red Velvet Cheese Brownies! 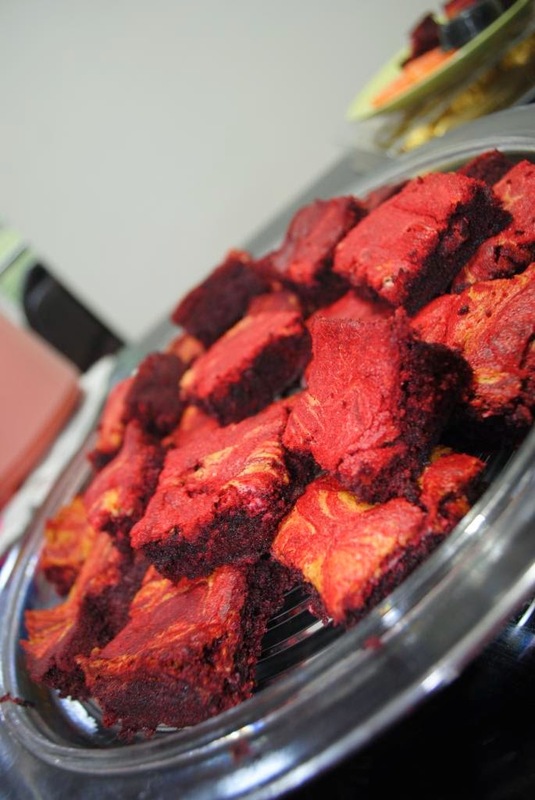 We do have obsession with brownies and these red velvet brownie also a must try treats! Bite after bite, we fall in love with the deep red cake with the swirl of cream cheese..its sweet and tangy at the same time. . I have link you the other brownies recipe below! Me and my husband, we love dessert very much. So, we make sure we baked from time to time. Doesn't matter what kind of treats as long there's something sweet on the table after a perfect meal. For those who haven't had red velvet cake before let us share you the knowledge about this original flavors. It has nothing to do with the red or the chocolate but its the buttermilk itself play the most important role. If you skip the buttermilk there goes the original flavors. When you done right, it will surely turn out great! Preheat oven to 350 degrees F. Butter an 8 x 8 inch pan. Brownie layer: Add melted butter to a large bowl and add sugar, vanilla, cocoa powder, salt, food coloring, and vinegar, mixing after each addition. Whisk the eggs into the cocoa mix. Mix in the flour until lightly combined. Pour the batter into the prepared baking pan, saving 1/3 to 1/4 cup of the batter for the cream cheese layer. Cream cheese layer: Blend together cream cheese, sugar, egg, and vanilla in a medium mixing bowl. Spread the cream cheese on top of the brownie batter in the pan. Put the remaining cocoa batter over the cream cheese layer. Using the tip of a knife, swirl through the cream cheese mixture to create a swirl pattern. Bake the brownies for 30 minutes. Remove to a cooling rack and allow them to cool completely before cutting. Don't forget to leave your comments! thanks for stopping by lovelies.